I was already a Pantene user before I agreed to write this post. I didn’t have to put it to the test because I already know how great it works. I like wearing my hair straight but it tends to be a bit frizzy. You don’t want to see my hair on a humid day, it looks like I stuck my finger in an outlet! 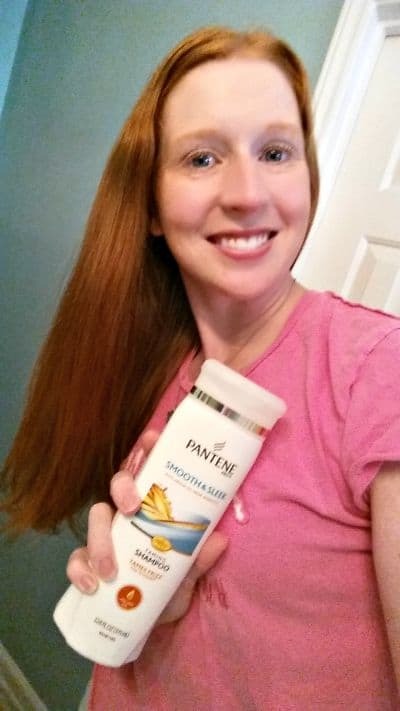 I use the Pantene Smooth and Sleek shampoo & conditioner to help protect my hair from damage and to help keep the frizz under control. It is supposed to tame your frizz for up to 72 hours. I think it does a good job for a full day but after I’ve slept on it, the frizz is back. I just have to style it again and it’s as good as new. 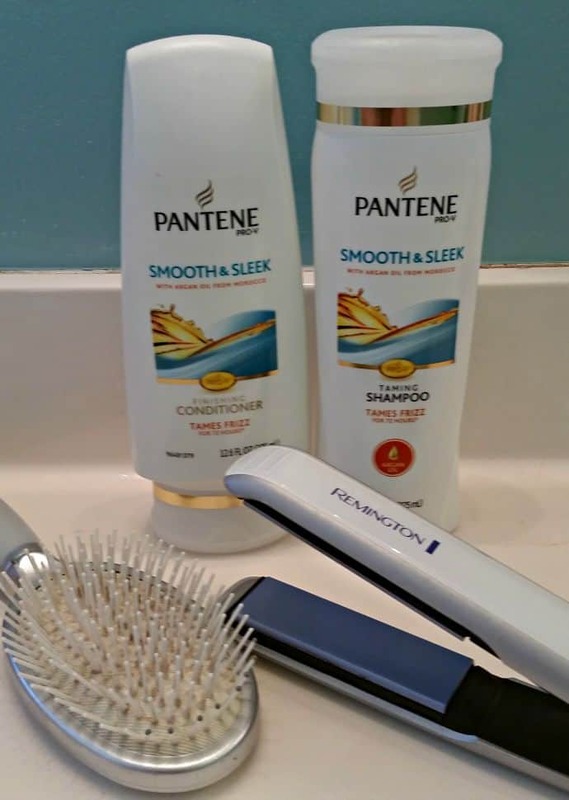 Pantene shampoos and conditioners work together to make hair 2x stronger than shampoo alone so I always use them together. There are other types of Pantene products for different hair types and concerns. Pantene Repair & Protect allows you to use styling tools without worry about damaging your hair and Pantene Daily Moisture Renewal erases the damage of 100 blow dries! I like using Pantene because I see results and I think it keeps my hair healthy and strong. I need that with a 19 month old yanking on it all day! 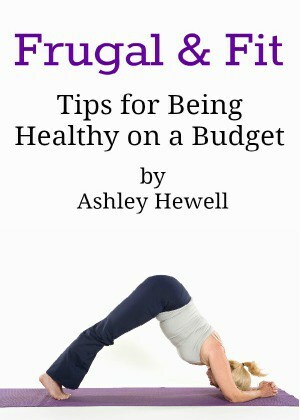 I also love that it is affordable! I can’t spend a lot on hair products so I love the everyday low price at Walmart and Walmart.com. There are also coupons that come out every month for Pantene products so you can save even more! What kind of damage does your hair have? Which Pantene products will work best for you? Let us know in the comments.